2019 Project Graduation – Post-Graduation Party for the 2019 Seniors! Post-Graduation Party for the 2019 Seniors! Please return this registration form to the box in the RHS AP office or front office labeled “Project Graduation Registration Forms” by Friday, May 24, 2019. When: Saturday, June 1st, 2019; 11 p.m. – Sunday, June 2nd at 5 a.m.
Each graduate must have a photo ID. Project Graduation is a drug, alcohol, smoke and tobacco free environment. No drugs, alcohol, tobacco products or e-cigarettes are allowed on the premises. Graduates will not be admitted if it is suspected they are under the influence of drugs or alcohol. Use of any of these substances during the event will result in the graduate’s immediate removal, a parent/guardian will be notified, and the graduate will forfeit all rights to any prizes that may be awarded at the event. 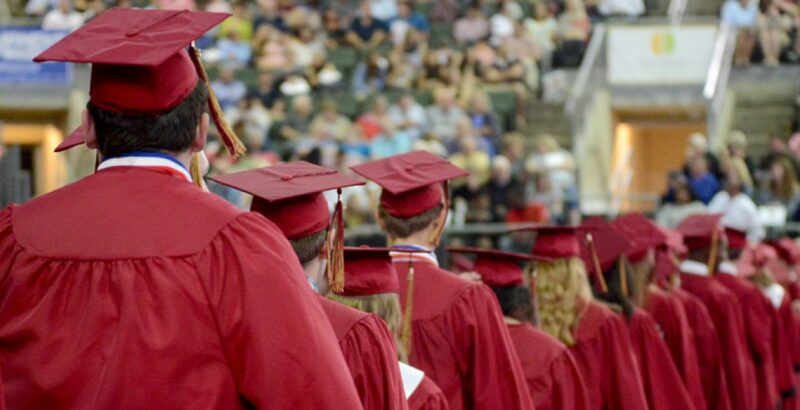 Graduates are expected to conduct themselves according to the Standards of Student Conduct set forth in the LISD Student Code of Conduct. Inappropriate behavior by graduates will result in the graduate’s immediate removal, a parent/guardian will be notified, and the graduate will forfeit all rights to any prizes that may be awarded at the event. Graduates are strongly encouraged to leave all personal belongings at home. Graduates must check in all personal items upon entrance to the event; however, cell phones will be permitted and will be the graduates’ responsibility. The only items graduates should be checking in are keys and wallets. No bags or backpacks allowed. Neither Leander ISD, Rouse HS, nor the PG19 Board or volunteers will be responsible for any damage to or loss of personal items. Therefore, it is best to leave all other items at home. Project Graduation games and activities are voluntary and graduate’s participation in these activities is at his/her own risk. Leander ISD, Rouse HS, the PG19 Board and volunteers are not responsible for accidents or injuries associated with participation in such activities. Graduates are required to ride the bus to and from Austin’s Park N Pizza. This is a lock-in event. Once inside, all graduates in attendance are expected to remain at the event for the duration. Any attempt to leave the premises before the conclusion of the event will result in the immediate notification of a parent/guardian, and the graduate will forfeit all rights to any prizes that may be awarded at the event. Rock’N’Rides is an annual Car Show held each year for the benefit of charitable organizations affiliated with Rouse High School. In 2018 more than 300 cars were featured at the 5th annual Rouse Rock ‘N Rides Car Show. Winners were picked in many categories for the best classic and modern cars as well as the best engine, best paint and best in the show. Don’t miss one of the Largest Car Shows in Central Texas. This car show keeps on getting bigger and better with several surprise guest appearances. There will be music, food and lots of prizes. We encouraged everyone and ANYTHING on wheels to come out. This website was created and is maintained by the Rouse HS Project Graduation Committee. Project Graduation is a 501c3 and is not a part of Rouse High School nor the Leander Independent School District. Neither Rouse High School nor LISD is responsible for the content of this website or the content of links external to this website.